Hello :) Since I live here, it would only be fair to invite you to visit my beautiful country. But (there's always a "but"), before you do, here are some basic information you should know. Trivia. We are in Europe. The capital is Zagreb. 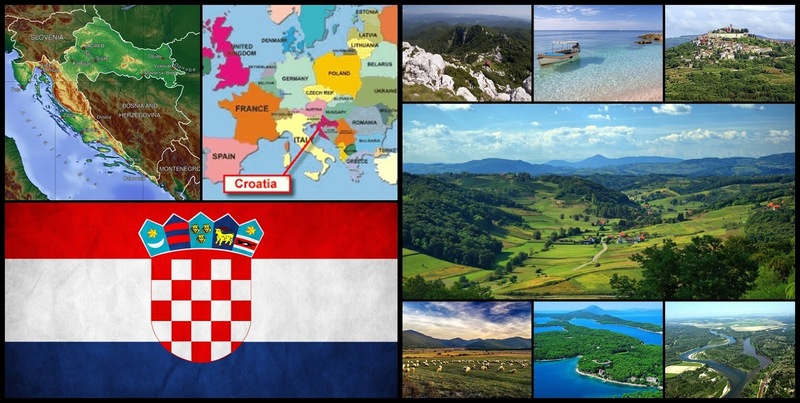 We have 7 airports (not all in the link are international) so you can visit almost any part of Croatia. There are 3 parts: lowland (Slavonia), central - Croatia proper (Zagreb and surroundings, Lika and Gorski kotar (Mountain district) and seaside (Istria, Kvarner and Dalmatia). Have in mind this isn't a legit division, it's only how I see it. Size. Croatia is a small country. And we know it. You do not have to point it out every few seconds. In spite of being small, Croatia has it all - sea, mountains and valleys. We have sun in the summer and snow in the winter. You could almost say we are perfect. Prices. Well it's not easy to talk about money but here's how I see it. For most of the Croats prices are high, but tourists usually do not have that problem. Everybody I've seen as a tourist in my country has said that prices are either really low or acceptable and reasonable. Languages. We do speak a lot of languages and we speak them quite well as Croats can adjust their pronunciation to almost any language. I'm not saying that every person knows 10 languages but we do try to speak the language you know if you ask us something (unlike for e.g. Italians who speak only Italian or French guys who won't say a word of any other language). However, older people probably don't know any other language than Croatian. Btw, Croatian is really hard to learn if you are a foreigner. Way of life. If you like to live in a rush, visit the capital - Zagreb. For more easy way of life, visit any other part of Croatia, preferably seaside (Dalmatia mostly). All jokes aside, this is actually a fact. People in Zagreb are way more active than other people (not referring to jogging or fitness). People in north Croatia (e.g. Zagorje and Međimurje) and east Croatia (Slavonia) work more in the fields and they are usually always doing something (job in the morning, taking care of domestic animals and field work in the afternoon - all day, every day). War. "Where were you in '91?" This is a question young generations take as a joke but to older people it actually can mean something. There was a war between Croats and Serbs (I'm not getting into this right now) but it was really important where you were in 1991. Be careful how and who you ask that question. Or don't bring it up at all! Nightlife. Croats do enjoy going out. Fridays and Saturdays are usual days to go out but since you get into college, you adjust your nights out according to your schedule. There's a great chance you'll see a bunch of people out on Monday, Thursday or any day for that matter. Religion. Croats are mostly Christian. We do not chase around people who are not Christian but it's still kinda strange if a person says they're different religion. This doesn't apply on tourists. We know tourists come from all around so we do not have any issues with different religions. Style. Most Croats have neutral style, if that means anything to you. I'm thinking jeans and a shirt. There are rockers, hippies, punkers, goth, emo and all other styles of life that you can imagine. We do not hate different people but we will look at you if your style isn't "neutral". Not because we don't approve, just because you're different. As we will look at you, we will also look away like nothing has happened. Coffee. Having a coffee with someone and sitting in a coffee shop for three hours is normal here. If you have that time. That's why the city is full in, usually, the Saturday morning. If you're looking for better prices of it, go in cafes which are not directly in the center of the city (e.g. main squares, near the sea). I've put down 10 basic things you need to know. If you want to know anything else, fell free to comment below and ask anything. Have in mind that this doesn't apply to all Croats. This was written in general and mostly from my point of view. And, yes, I know I've written half of the names in Croatian half in English. Just let it be. Just Google Croatia and you'll want to visit us!! I will write another post about what to visit in Croatia and another one about what to visit in Zagreb as I live here.